Unwind in total comfort with Stunning Views and Waterfront Living. Walk out to the Dock with your glass of wine. Soak in a tub, rock on the porch, swing in a hammock or a rope chair watching the cargo ships go by. Spot dolphins in the water, catch dinner off the dock. Be active - Be lazy - Be comfortable. 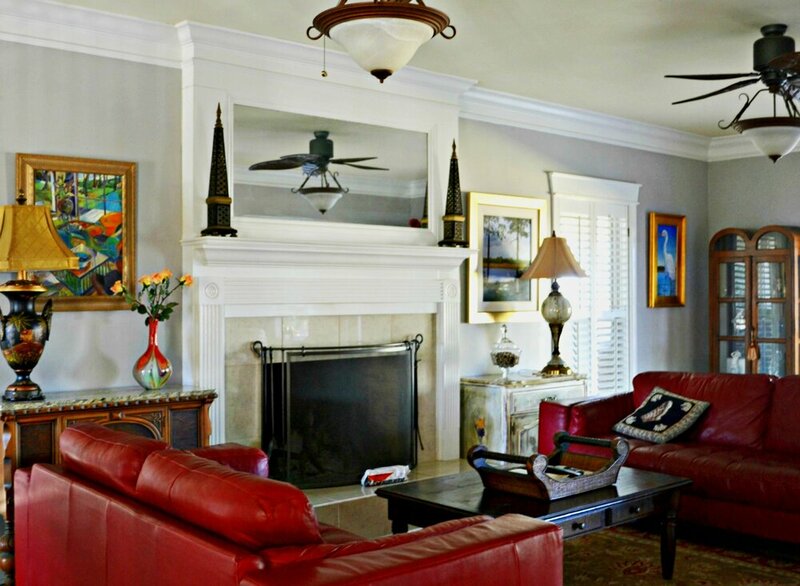 Welcome to this legal rental property on the Waterfront... immerse yourself in the full Charleston experience at our Big Chill House. Enjoy the entire Charleston Lifestyle. Luxuriate in the natural beauty of the LowCountry, located near the foot of the famous Ravenel Bridge... the best central spot to experience it all! - 1 Indulgent Spa Marble Bathroom for Master Suite. Soaking Tub, Dual Vanities, Toilet Closet, Glass Shower. - 1 Main Level Large Bathroom ensuite for the Main Level Queen Bedroom. Walk in shower. Tiled with grab bar. - 1 Luxury Bathroom with Soaking Tub and Glass shower shared by the Upstairs Queen and Upstairs Doubles room. - 1 Powder room off the kitchen hallway. - Wrap around Porches with views and seating. - Kayaking, Fishing, Paddle boarding and Crabbing from Dock. - Mosquito Treatment Eradication Service. - Gourmet Kitchen and open dining room. 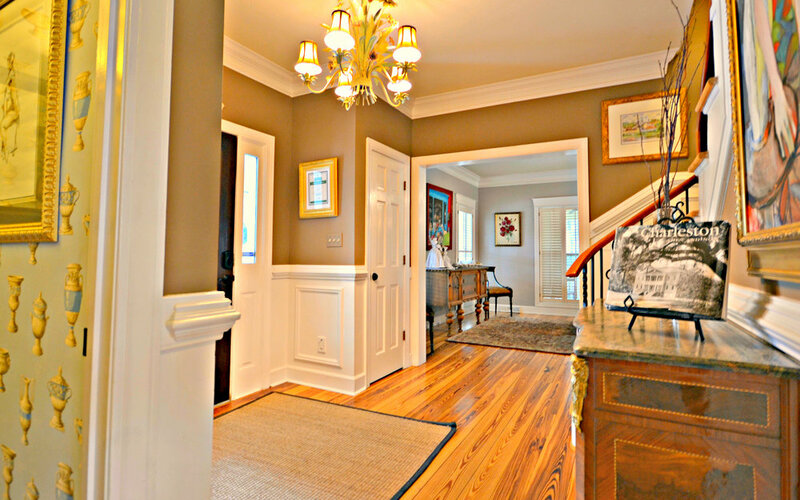 - Hardwood Antique Pine floors in most rooms. - Satellite HDTV flat screen in nearly every room. - Fully equipped open style gourmet cook’s kitchen. Stainless appliances. Gas range. Sub Zero Refrig. Oven and Warmer. Dishwasher. We respect our guests, and we want you to be happy and comfortable that you have chosen the right rental for your stay. Please, NO EVENTS at this property! This house is for your group only. -NO weddings in the backyard. -NO rehearsal dinners, oyster roasts, shrimp boils, or wedding breakfasts. Please support our local businesses, venues, and restaurants for your event needs. Please read and be informed …. The home is lovely and the spot is beautiful. Great to watch the ships go by off the back porch. The interior is beautifully and comfortably decorated. The beds are comfortable. There was not a want of need for anything. Our girls weekend gave us the chance to unwind, laugh and relax. As family we do not get enough time to be together and this was special for all of us. We love the area and the close proximity to Charleston. Thank you for letting us be a part of your home and community for the weekend. Speak directly with Laurie or George, the owners.